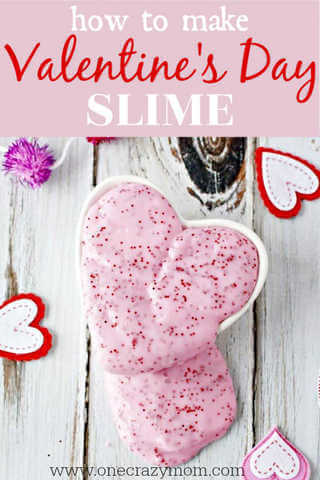 Valentine's Day Homemade Slime - DIY Slime that kids will love! DIY Slime is all the rage right now. Kid’s love making this stuff! 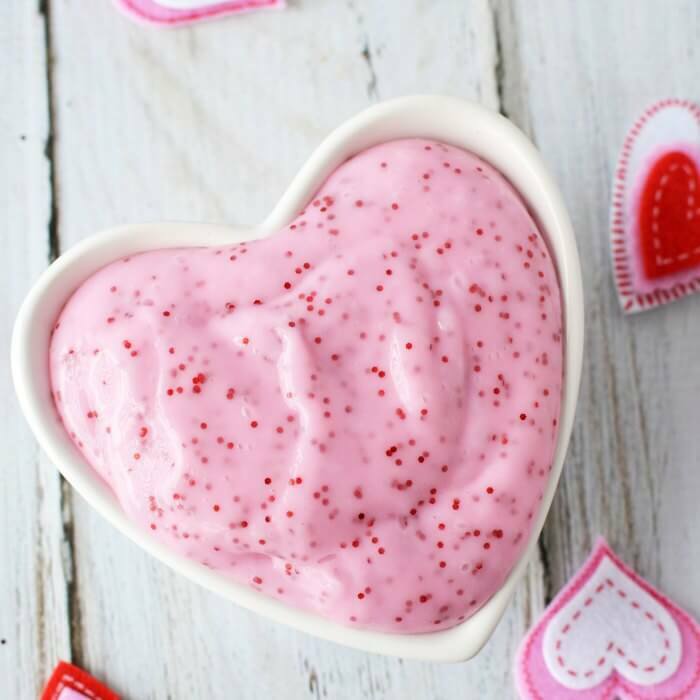 They are going to absolutely love this Valentine’s Day Homemade Slime! It’s so easy and the glitter just makes it look even more perfect for Valentine’s Day. The slime kits you see in stores can be pricey for very little supplies. This easy slime recipe is inexpensive and easy to make for a group. You might try this for a fun activity around Valentine’s Day. However, this slime really is perfect for any holiday or any day of the year! My kids would make this every day if they could. They are crazy over slime and make slime with their friends all the time. Your kids can hand these out in lieu of traditional Valentine’s Day treats. It seems the kids get so much candy so this is a nice change from more chocolate or candy. Plus, slime is so popular that everyone will love getting more slime! This DIY slime is so pretty and sparkly. Valentine slime is so fun and sure to be a hit with all their friends. These containers are perfect for storing slime and so you can give them away. You can also pick up small inexpensive containers at Dollar Tree as well. Let’s get started making this Easy Slime Recipe! Your kids will have a blast making this DIY Slime! 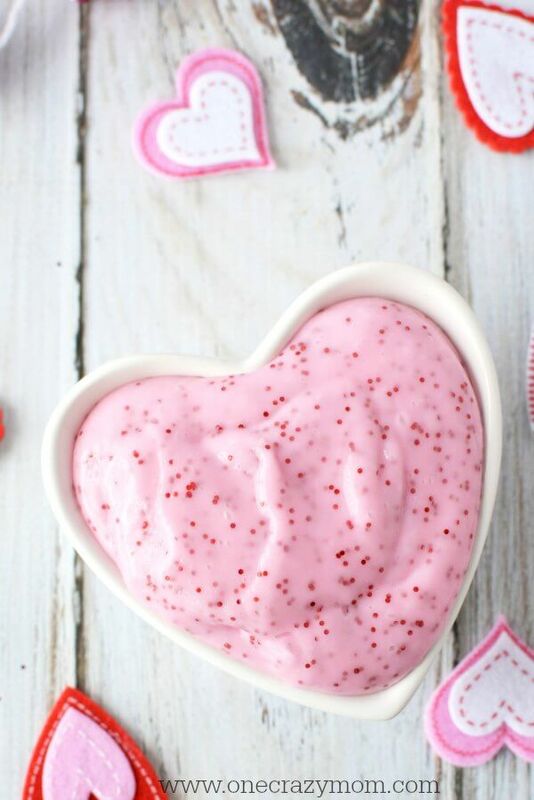 Valentines Day slime recipes make such a fun Valentine’s Day activity. 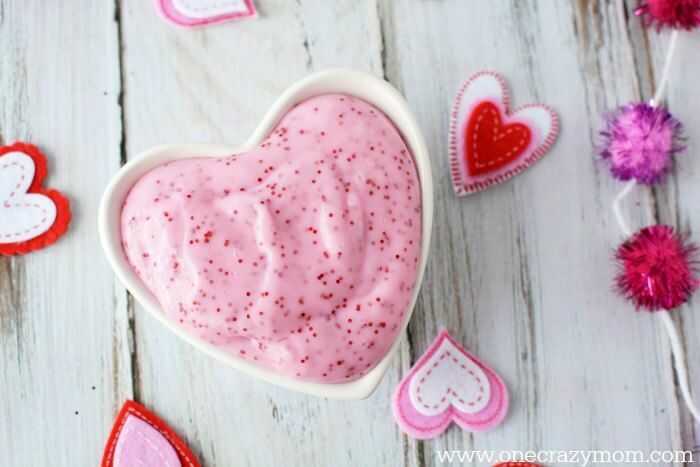 The kids get so excited to make this Valentine’s day slime. How do you make easy slime? We are always making something around here. You only need a few simple ingredients to make your own slime. Once you try this, learn how to make glitter slime or how to make slime for kids that is calming. Both of those are fun homemade slime recipes to try. It is fun to switch things up and try different colors. 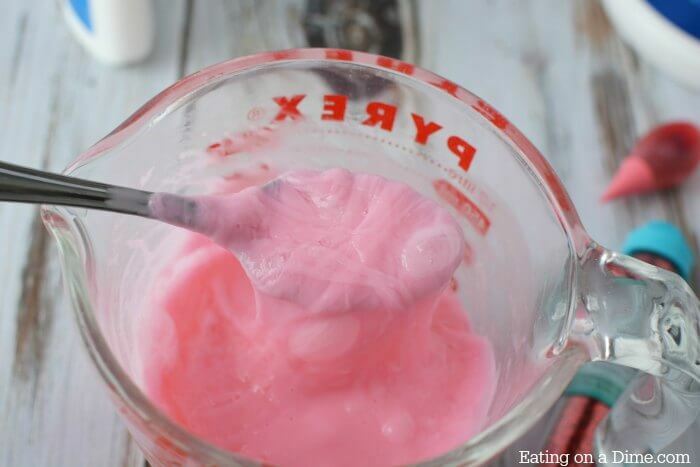 Learn how to make homemade slime for a fun science activity! 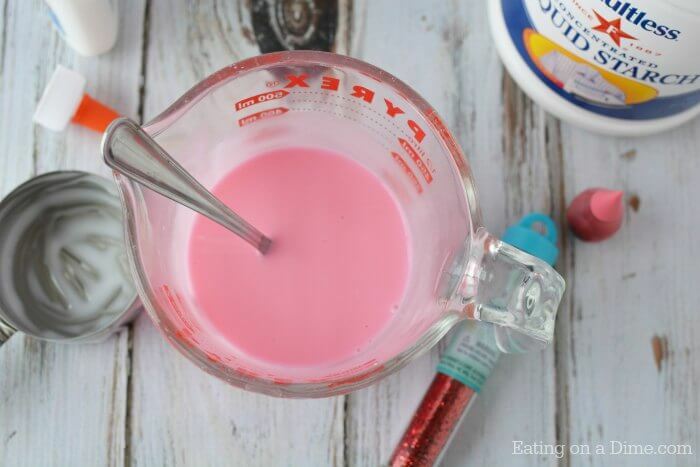 Whether you are making Valentine’s Day slime or slime for other holidays and seasons, this DIY activity makes learning fun. It is a great way to teach kids about science and turn this into a great science activity. What do you need for glitter slime? Glitter slime is one our favorites to make. You can pick up glitter from your local craft store or dollar store. We purchase our glitter on Amazon because we are always making something and it is cheaper to buy the larger bottles. The fine glitter is really great for slime but anything will do. There are so many colors to choose from! Another way to make glitter slime is to use glitter glue. This combines everything in one step and helps it to me less messy. How do you make slime with Elmer’s glue? Glue is the main ingredient in most of the slime recipes we make. We find the DIY slime ideas turn out the best if they use glue. 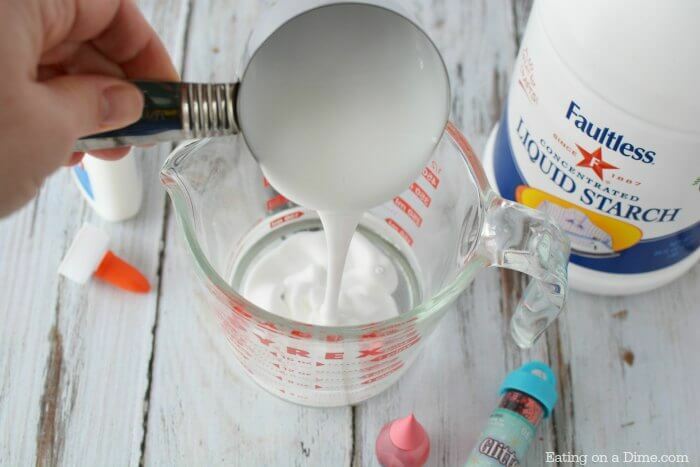 Elmer’s glue is one of our recommended slime supplies to always have your slime turn out perfectly. Do you have any tips or tricks while making slime? 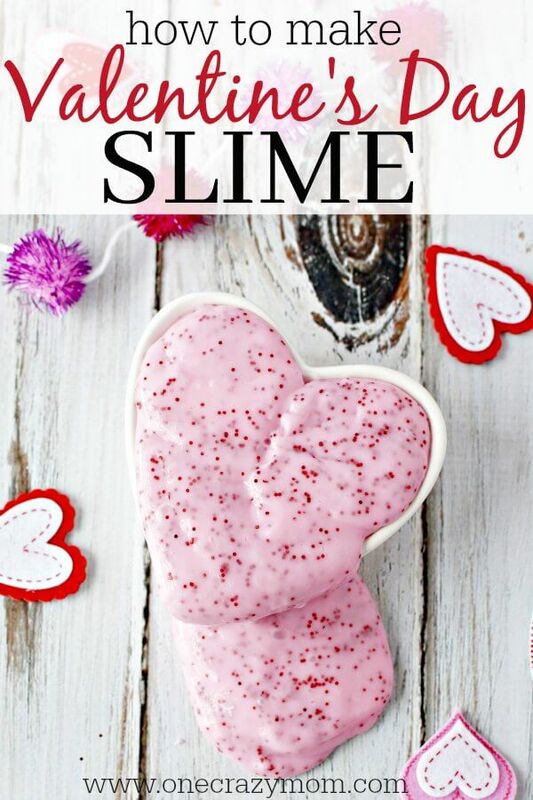 This slime is so cute to hand out for Valentine’s Day. These containers are perfect for storing slime and so you can give them away. I find the smaller containers work best to store my slime. They are also perfect to attach to a valentine card and for storing your Valentines. 1. 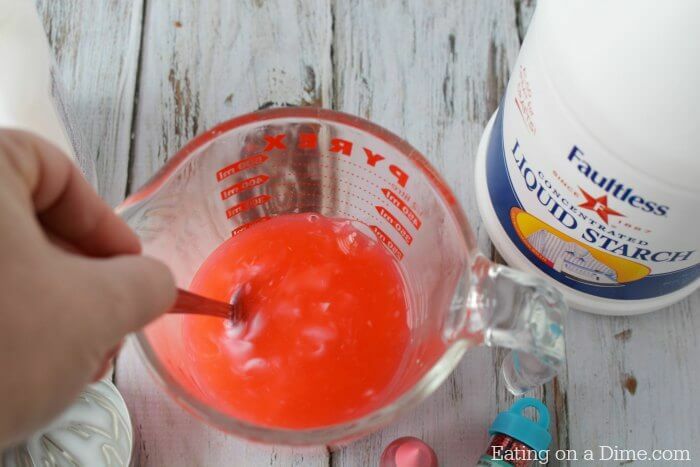 Add water and mix white glue and food coloring to a mixing bowl. 2. Mix well until glue is dissolved and water is completely pink and smooth. 3. Stir in liquid starch and the slime will begin to turn. 4. Sprinkle with a small amount of glitter and continue to stir until glitter is evenly coated with glitter. 5. Remove from bowl and knead a bit if necessary. 6. Enjoy! Store in an airtight container. 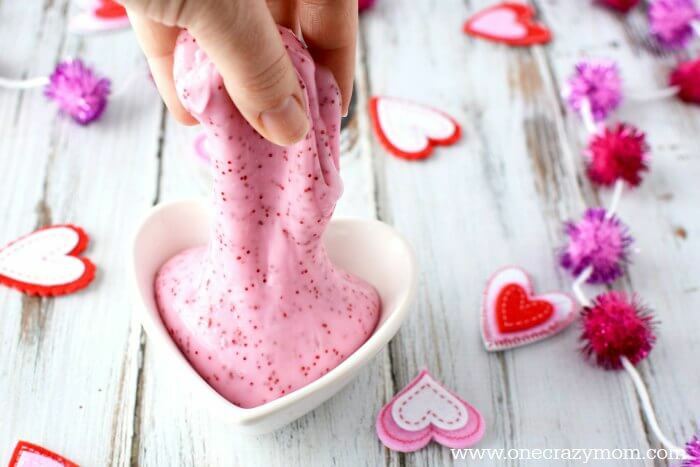 It is that easy to make Valentines day slime! You could also add heart confetti to the slime recipe. So festive! How do you make homemade slime? There are so many different ways to make slime. Another idea is glitter glue slime recipe with borax. 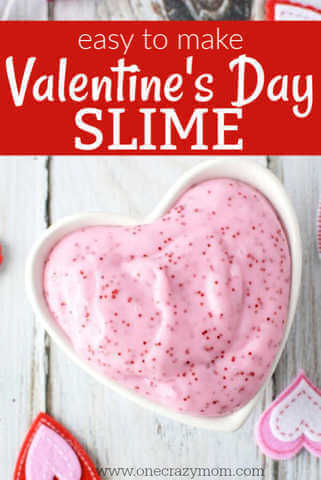 Please share any fun ideas you have for DIY Valentines day slime! We have so much fun trying new craft ideas and DIY projects. Try this activity for a quick and easy slime! 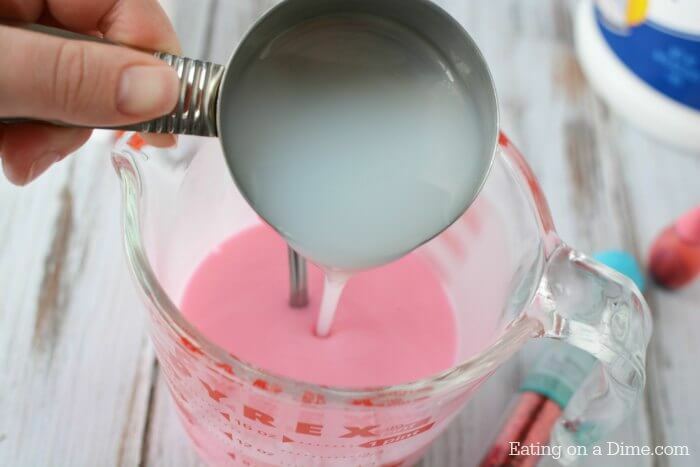 It’s so easy to make Valentine’s Day Homemade Slime Recipe! This is a cool Valentine’s Day project they will remember for years to come. Plus, all of their friends are going to love getting this diy slime. So cool! It’s a win win DIY project all around! Let us know how the Valentines day slime recipe turns out. 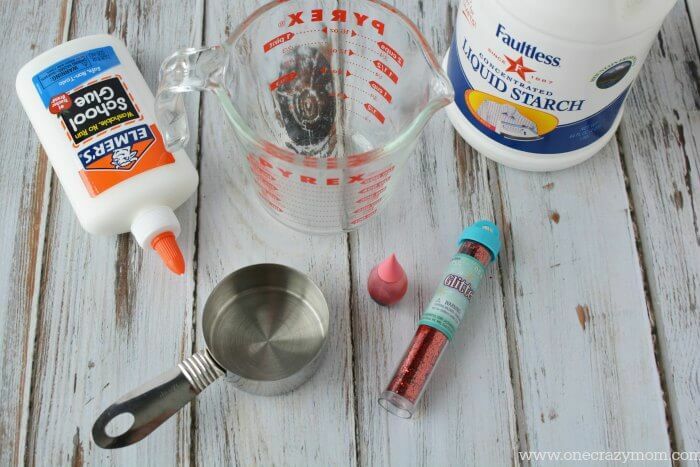 If you are looking for slime recipe easy and simple, this is a great one to try. Everyone will have a blast and the slime will be so fun to make. We love craft projects and DIY ideas. The kids have a blast and we are forming precious memories. It is just about being together and we have so much fun crafting and coming up with new things. Get the entire family involved for a fun activity and memories to cherish for years to come. Make the day extra special with these Valentines Day Ideas for Kids. Find 7 budget friendly and fun valentines day ideas for kids.